The Nano continues to innovate and evolve in line with the needs of its customers. Taking the spirit of innovation further, Tata Motors today announced the launch of all-new GenX Nano range, a new compact, feature-rich hatchback. The new GenX Nano comes with advanced technological features which strengthens its value proposition, making it the perfect city car. 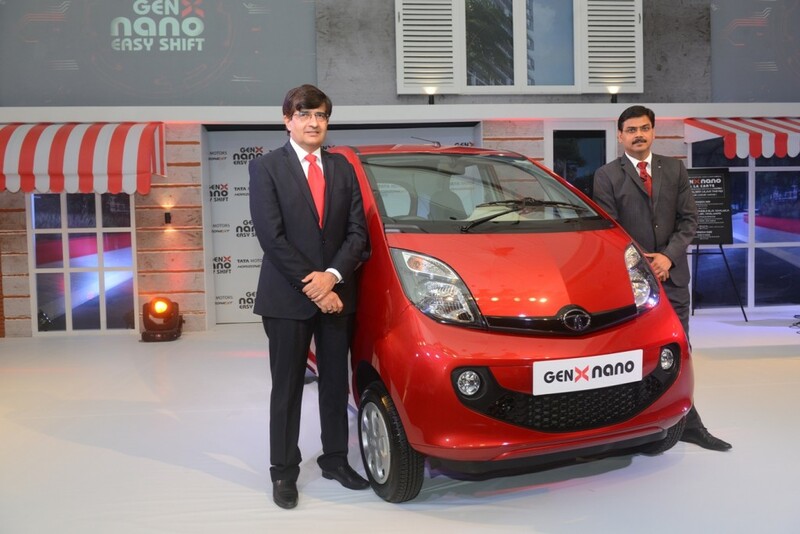 The GenX Nano will be available for sale, across the country in over 450 Tata Motors sales outlets, from today. The GenX Nano comes with a starting price of INR. 1.99 Lakhs, for the XE variant and goes upto INR 2.49 Lakhs, for the XT variant, in Manual Transmission. The Company has introduced two variants – XMA and XTA with ‘Easy Shift’ Automated Manual Transmission. The XMA variant will be made-to-order and will be available for sales from August 2015. The XMA variant is priced at INR. 2.69 Lakhs and the top-end, XTA variant is priced at INR 2.89 Lakhs and is available post the national launch. All prices are Ex-showroom, Delhi. · ‘Easy Shift’ Automated Manual Transmission with ‘Sports’ mode for enhanced accelaration and ‘creep’ feature for heavy traffic maneuverability and parking ease. · Comes with Electric Power Assisted Steering (ePAS), designed for light steering, for easy maneuvering in tight parking and driving situations in cities. The Wait is Over: Pre-bookings to open for BMW Motorrad G 310 R and the BMW G 310 GS. Kawasaki Versys 650: An entry ticket to the adventure world! woh I saw your posts , saved to favorites ! . www.ecarmall.in - An online mega store for car accessories has been launched! Real nice style and fantastic subject material , absolutely nothing else we need : D.
Everything you need to know about the Renault Kwid! I really like your writing style, wonderful info , regards for posting : D.
Auto Expo 2016: BMW G 310 R unveiled in India! Meet the all-new @UKTriumph #RocketIII - Mad Mad Beast! 2500cc on two wheels! Copyright © 2017 Pitstop | All rights reserved.